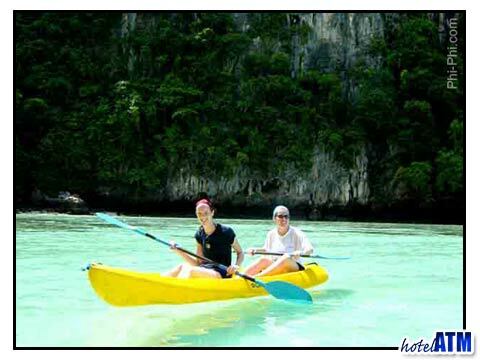 The Adventure Club has the most innovative activities on the Phi Phi Don Island which includes PADI certified diving courses, island hopping, Night Snorkeling, Shark Watching, Cliff Jumping, a mountain trekking program called ‘The Quest’ and a secret rock-climbing program the ‘007 Tour’. Apart from adventure, Andrew Hewitt has been creating eco awareness for the past six years. After every adventure or diving program, the participants are invited to learn about the care and conservation of marine life. Andrew Hewitt has been currently working with microbiologists on a large rehab project involving six or more countries. In an attempt to repair the coral damage done by the Tsunami, Andrew has been installing various underwater coral nurseries using Israeli research techniques, since April 2006. Coral larvae are grown in netted cages till they are strong enough to survive in the open sea. These corals are then planted onto artificial substratum created by hollow concrete blocks. All the efforts are seeing results, as the artificial corals are attracting natural underwater fishes and creatures, making it a unique ecosystem. Andrew Hewitt patiently hopes that these artificial coral reefs will be major tourist attraction one day. On December 26, 2004, the midnight Christmas festivities of the exotic Phi Phi Island were harshly interrupted by monstrous sea waves that hit Thailand at a speed of several kilometers per hour. The ocean floor earth gave way to its century old frustration, unleashing violent waves that ruthlessly hit the fun loving Island, stealing lives and wreaking havoc on the peaceful island. The fury of the water that raged spared nothing that came in its way. Life and property was swallowed by the ravenous ocean. Thousands of innocent sea-lovers were betrayed by the same waves that they would swear by. Today, the Phi Phi Island is a symbol of courage in the face of adversity. The ferocious 100 meter waves did all they could, but could not dampen the spirit of the people of Phi Phi. Many are dedicated to heal, reassure and rebuild the island to its once known glory. Among these brave hearts, is Andrew Hewitt (The Adventure Club), a dive school instructor and an eco tour owner who had a narrow escape with his family. In the immediate aftermath when many of the tourists and especially local population were in shock and fear (of further tsunamis) Andrew helped many with is knowledge of first aid and helped organize basic provisions for those left stranded. 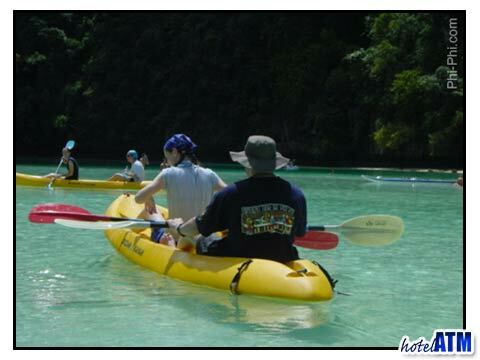 In February 2005, Andrew Hewitt (The Adventure Club) organized the Phi Phi Dive Camp which was a voluntary clean-up operation including staff, foreigners and locals. Globally appreciated for his courage, Andrew Hewitt not only strives to rehabilitate the bereaved island, but also to restore the beautiful coral life underneath the Andaman Sea. The Adventure Club of Andrew Hewitt has consistently provided eco-friendly tours over the years for divers and snorkelers.